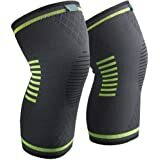 Sold by AC Green and Fulfilled by Amazon. Gift-wrap available. Smart App Syncs with Fitness Apps - Over Million happy global users, RENPHO App syncs with APPLE HEALTH, GOOGLE FIT, and FITBIT APP. 13 Essential Measurements - Scale shows body weight, data including Weight, BMI, Body Fat Percentage stores to app. 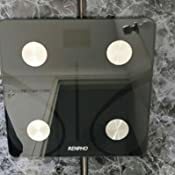 You can weigh yourself anytime WITHOUT your phone. The data will sync to the app once it is connected again! Free Friendly App - Download RENPHO app for FREE at Apple Store/Google Play. RENPHO App works with Bluetooth 4. Sold by AC Green and ships from Amazon Fulfillment. Sold by Jack Smith Fashion AU and ships from Amazon Fulfillment. 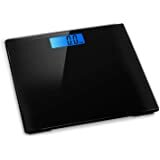 3.To avoid inaccurate weight results, please try again later after physically moving or shifting it or when replacing the batteries. 4.To calibrate, apply weigh on the scale, then step off and wait for the LED screen to display ""0.0"". Then, step back on the scale to weigh with accurate results. 5.During weighing, the indication will be flashing on the display, wait till the indications stop flashing. Your weight will be displayed for about 15 seconds. 6.Please stand on the scale with DRY and BARE feet before use when taking body fat, hydration, muscle, bone and BMI data. 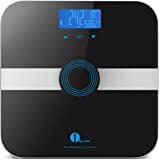 And please also note that you need to turn on the Bluetooth on your Phone and make a connection with the Bluetooth Scale via App (only New iwellness). 7.The scale can measure the body composition data for people whose age is among 10-100 years old and height is among 3'3"-8'4". 8.When you enter "Baby Mode", please weigh with shoes on. 9.Please change a new battery when ""LO"" appears on the screen which indicates that the battery is out of power. ""Err""showed on the LED indicates overload. 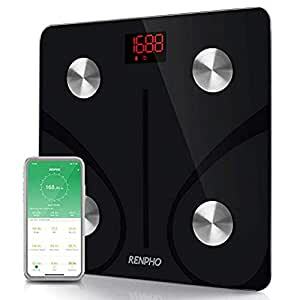 If you are doubting to buy this scale because the price seems very cheap compared to branded scales (Fitbit etc), then don’t worry. To use Just download and setup the app and you are ready to use your scales. Open the app and then stand on the scales see real-time weight on the app. After waiting 1-2 seconds the measurements are locked in and if you have an Apple device the details are sent to you apple Health. The whole family has been using for the past 3 months and it hasn’t disappointed. As per product description. Shipped quickly. Great price. Works well, easily syncs to android and apple phones. The app is straight forward (note you do have to sign in to use it, as in create an account with Renpho). Nice to have a record of our weight and other measure for the family over time. I haven't calibrated it, but its seems accurate enough. I used to use a FitBit Aria and it sends data to the internet. It died, and I wanted to get out of the FitBit ecosystem because it doesn’t write to the iOS HealthBook system. 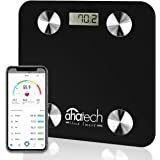 This scale uses Bluetooth, and while it has added a step, of launching the app, which I always do to ensure capture of the recording, I prefer the direct transfer to the iPhone. A bonus is that it writes directly into HealthBook without having to do an intermediary syncing step. The scale seems fast and accurate. I was familiar with the trend of recordings from the FitBit scale, and when I started using this one, that trend simply continued, so I was satisfied that it was accurate. I also like the additional readings that come from having electrical contacts on the surface. Also, a good price, not too cheap and not inflated. These scales offer a wide range of measurement data including weight, body fat, water, muscle and bone density. When the phone is nearby and the app is open it syncs the measurements quickly. The app is easy to use and all of the information is laid out nicely. 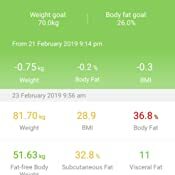 The weight and BMI seem to be accurate however I found that the body fat percentage was quite different to what the Fitbit Aria says so I'm not completely sure about the accuracy there. Overall very happy with the product. Highly recommend this to anyone that is watching their weight. 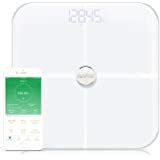 For the price, I think it's definitely worth it because it not only measures your accurate weight, but it also tells you your BMI, body fat %, muscle mass and even your metabolic rate! The mobile app that comes with it is also really simply and easy to use. The interface is simple, pleasing and nicely designed. The scale itself is slim and not as heavy as I thought it appeared to be, which is a plus because it doesn't take up space! It also comes with 3x starter AAA batteries, which is also convenient. Super happy with this purchase! Also, shipping to my Australian address took about 4 days because of AusPost. 5.0 out of 5 starsBest Scales on a Budget! 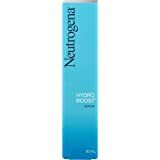 Wow, very seldom do you come across a cheap product that performs so well! 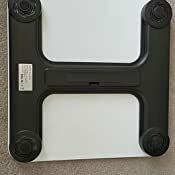 I have a xiaomi smart scale, which I thought was a cheap price (paid $55) for a 'branded' bluetooth scale, probably the cheapest 'name brand' smart scales out there. 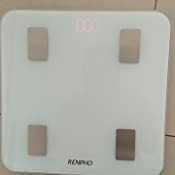 Then there was mention of this Renpho scale, which already got so many high reviews it was annoying. Anyways, on to the product. The Renpho does everything it promises to do, providing those 11 'composition analysis' details (check the description). The app is really good 'flawless' is how my friend describes it. Uploads to Google Fit, and also to Open Scale which an open source app on Android. Really easy to setup and use. Initially experienced issues with consistency but found that this was because we weren't on a flat enough surface, so just something to watch out for. Also tested and confirmed that it DOES store weight records in case you don't have your phone with you, it syncs the missing records over during the next sync. Haven't had to recharge the battery yet, and this is a bit different to the xiaomi (which takes AAA batteries). However, it's not too much of a hassle to recharge them, I think possibly it might be annoying if you want to weigh yourself and you find the battery is weak so have to wait for a charge. Or maybe long term (I'm talking many years), the battery capacity might drop to an annoying level and require frequent recharge, but not a problen. - No WIFI sync so you always need your phone to upload data, but that is fine cos adding WIFI would blow the price. - Not a real con, but potential issue with built in lithium battery over long term use (I prefer using rechargeable AAA's) <-- this is more of a personal preference I guess. 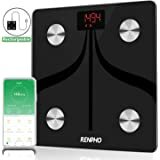 So - if you are looking for a budget scale which does lots of measurements, this should be it - the highest rated smart scales on Amazon, extremely positive price on it. Step on it! If my review has been useful to you, please click the 'Helpful' button below. Thank you! 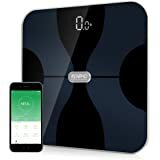 Loving this scale as it gives you so much information about your body composition.The packaging was great and designed to prevent any damage.Downloaded the app from Google store and did not have any problem with it.Synchronized very well with my phone,no problems at all.I would definitely recommend this scale. 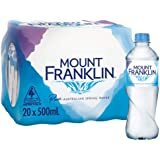 3.0 out of 5 starsDoes pretty much everything you'd expect from a product at this price. The scale works well for me and wasn't too difficult to setup with the app. Pretty sure it's a relatively accurate measurement of my weight however with the other information I'm sure it's more of a guess in combination of your current weight, height, gender and age. The quality of the scale is what you'd expect, decent glass on the top and repetitively cheap plastic on the bottom but seems durable. The app works well enough but sometimes completely re springs as if it were just installed requiring me to log in countless times a week. 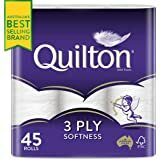 Would recommend this if you're on a budget however.